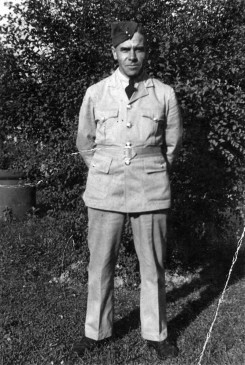 Clinton Ernest Vannatter, Royal Canadian Light Infantry Division (1901-1983) was the son of John and Martha (Beacham) Vannatter of Medina. He married Nellie Ellen Sweeney in 1923 and enlisted in 1942. After the war, they lived in Dundas.